Starting this Friday, this space will feature an excerpt from a book. The idea is to share knowledge and of course, spread the idea of reading. I start with an excerpt from Freedom at Midnight, by Larry Collins and Dominique Lapierre. 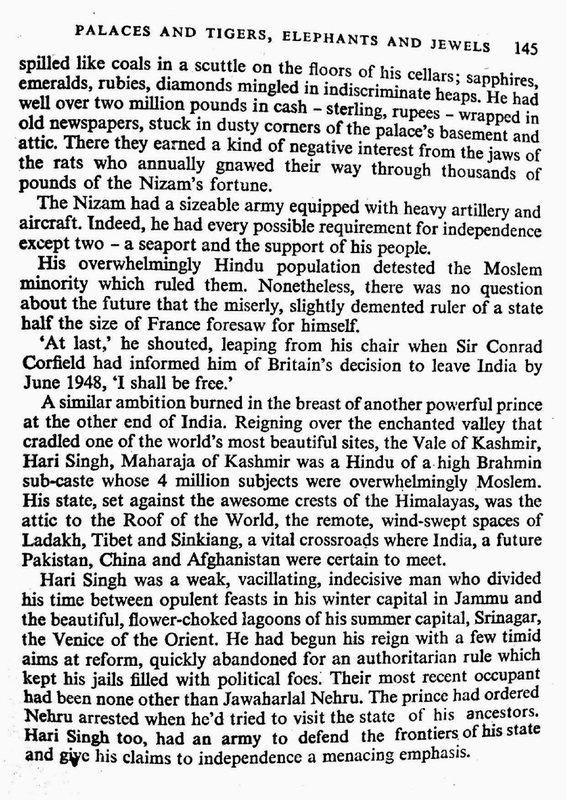 This brilliant book relates the story of India's struggle for freedom and more importantly, what led to the partition of India. 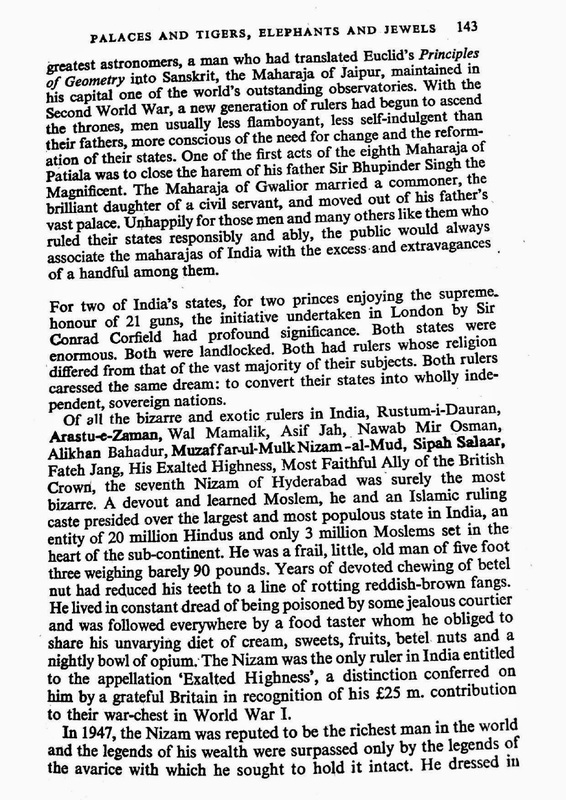 In a chapter titled, Palaces and Tigers, Elephants and Jewels, the two terrific authors mesmerize the reader with their tales of the eccentricities of the Rajas and Nawabs of India's numerous princely states. 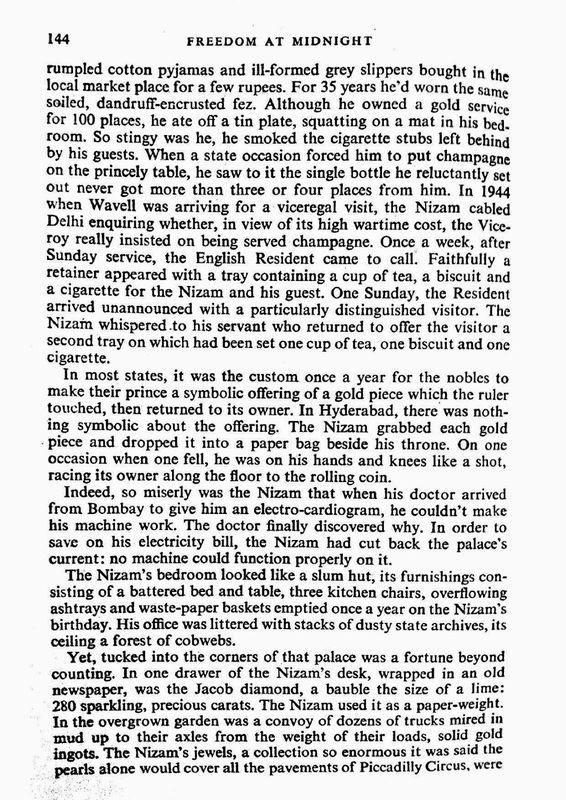 Here's an excerpt that relates a story about the Nizam of Hyderabad. I request you to not buy pirated versions of any book, including Freedom at Midnight. Buy original titles and keep learning!